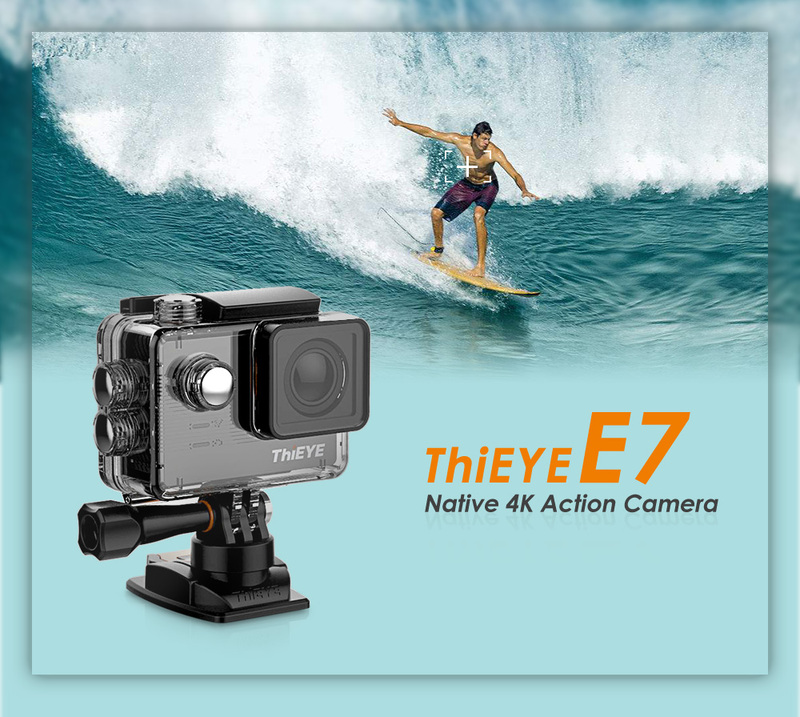 The amazing voice command technology gives you hands-free control over your ThiEYE E7, it shoots native 4K at an incredible frame rate of 30fps. 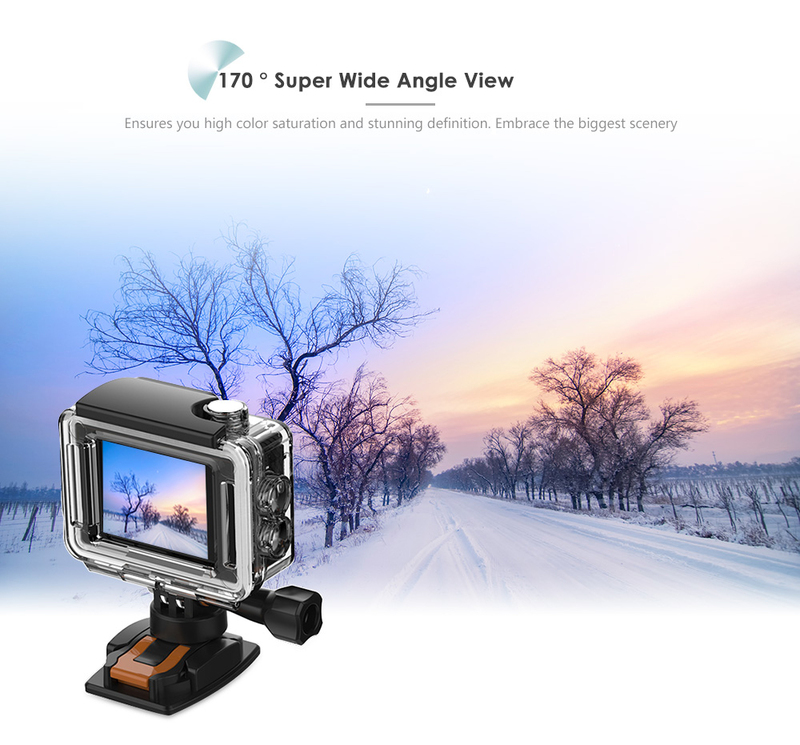 Moreover, E7 supports electronic image stabilization, long exposure, auto low light, fisheye setting and App for remote control, edit and sharing. 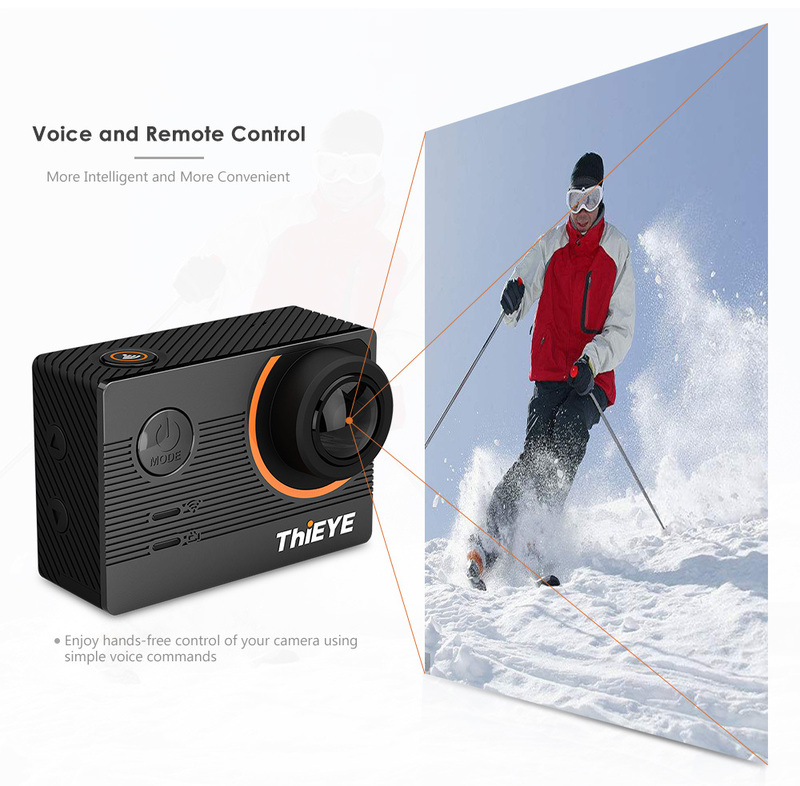 By the remote controller, you simply say one of our predetermined commands and the ThiEYE E7 just executes whatever you want to say. Enjoy hands-free control of your camera using simple voice commands. 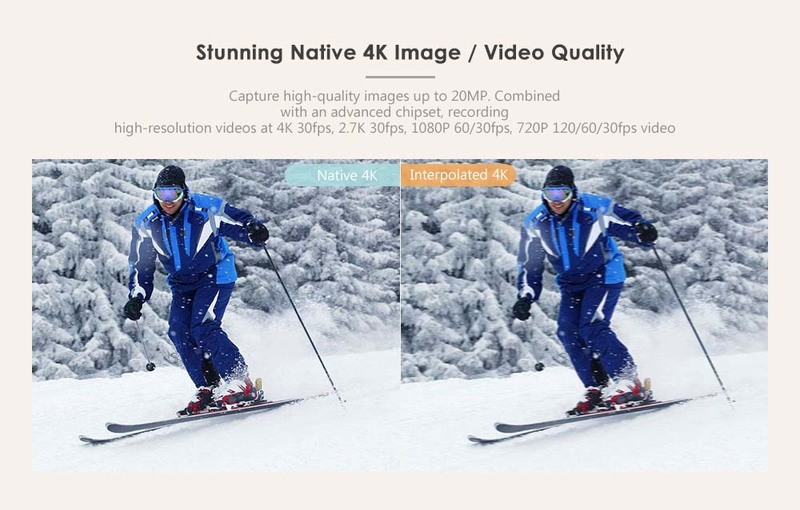 Record 4K 30fps ultra HD video and capture the action in more details. 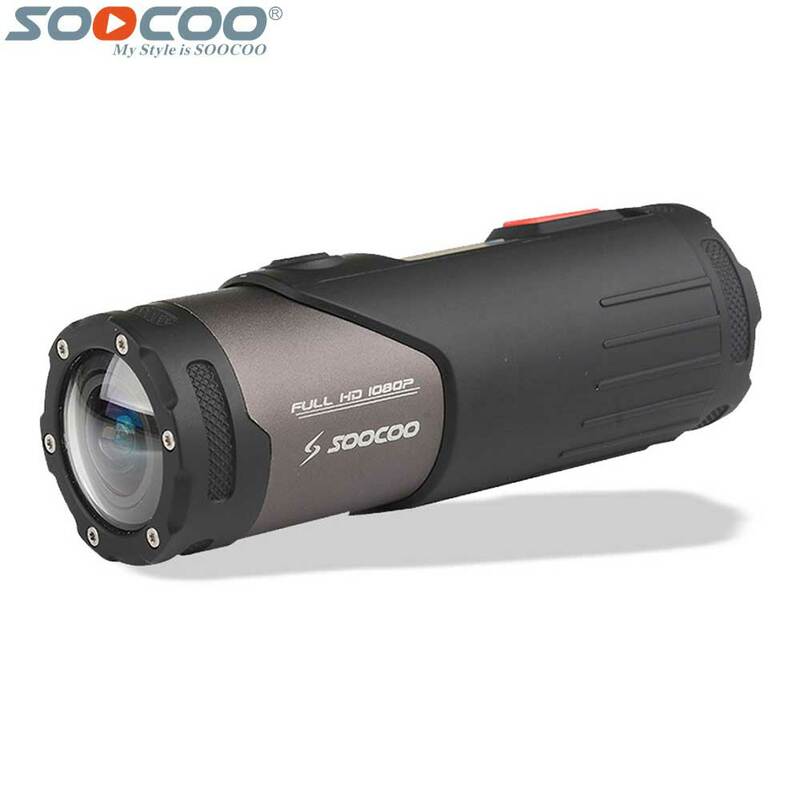 Larger than the previous generation for easy set up the camera, preview and play back videos and photos. Single shooting, self-timer, photo burst, time-lapse photo. 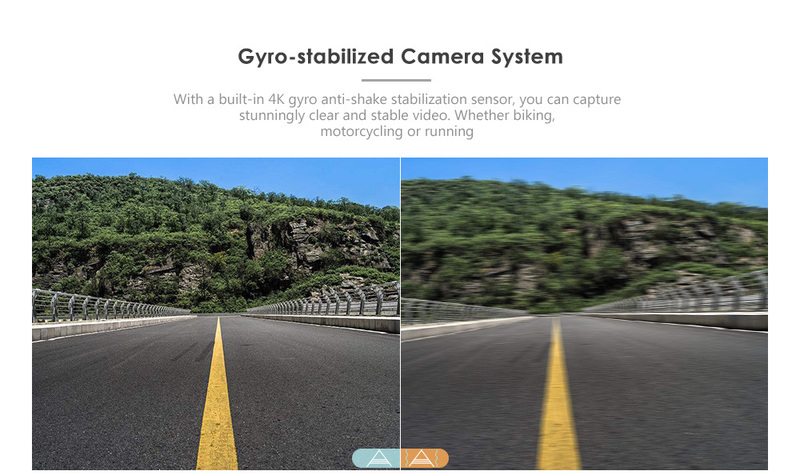 Support 4K gyro anti-shake, minimize blurring and compensate for devising shake to provide clear and stable images. Unique 360 degree rotating release buckle allows you to adjust different shooting angles, and 1/4 inch threaded insert connects to the tripod or selfie stick easily. Reduce or eliminate the distortion completely to get a more natural shooting effect. 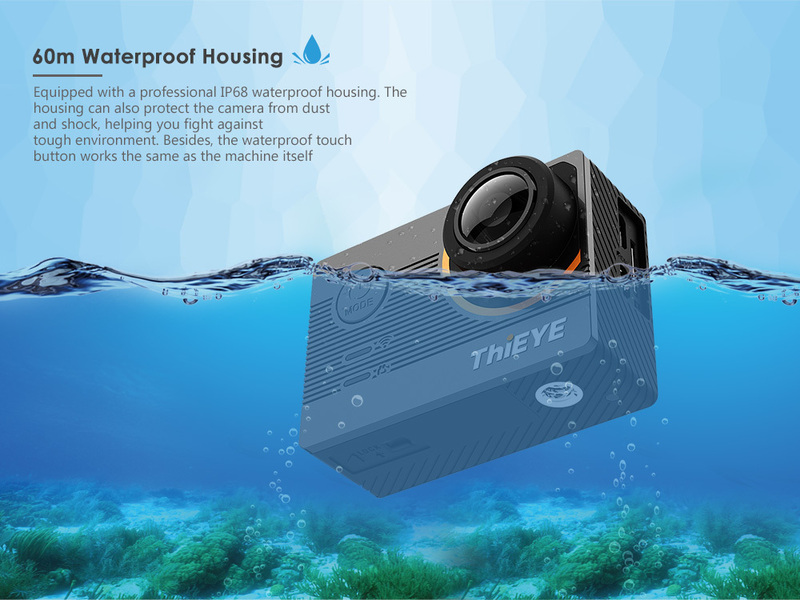 Equipped with a professional IP68 waterproof housing, E7\'s waterproof up to 197 feet (60m). Form a changing scene by taking a continuous photo at the interval of 1/3/5/10/30/60s. 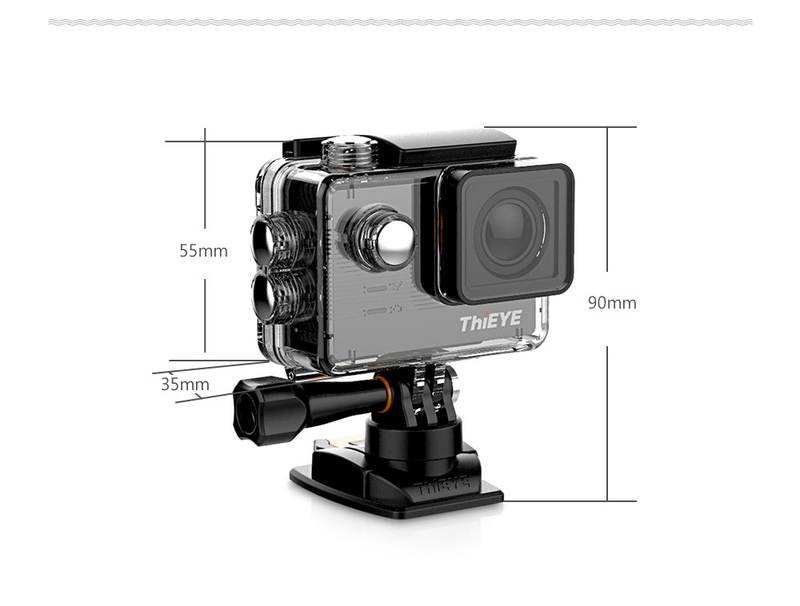 Support for Andriod, iOS devices connection to action camera via "ThiEYE Cam" App, then you can set up the camera and view, edit and share your video and photos.